Breakfast at Disney's Animal Kingdom? Yes! Breakfast at Disney’s Animal Kingdom? Yes! We are beginning to see changes at Disney’s Animal Kingdom as work continues on the new AVATAR-inspired land. This summer saw an end to Mickey’s Jammin’ Jungle Parade and the relocation of Festival of the Lion King to the Harambe Theater in Africa. In addition to the changes in entertainment and architecture, we are also starting to see some new food and drink options at Animal Kingdom, starting with breakfast. At Pizzafari in Discovery Island, the addition of three new hot offerings has rounded out the breakfast menu, making it a nice place to start your day. I like that we are beginning to see some more healthful options introduced, such as the tasty Ancient Hot-Grain Cereal. 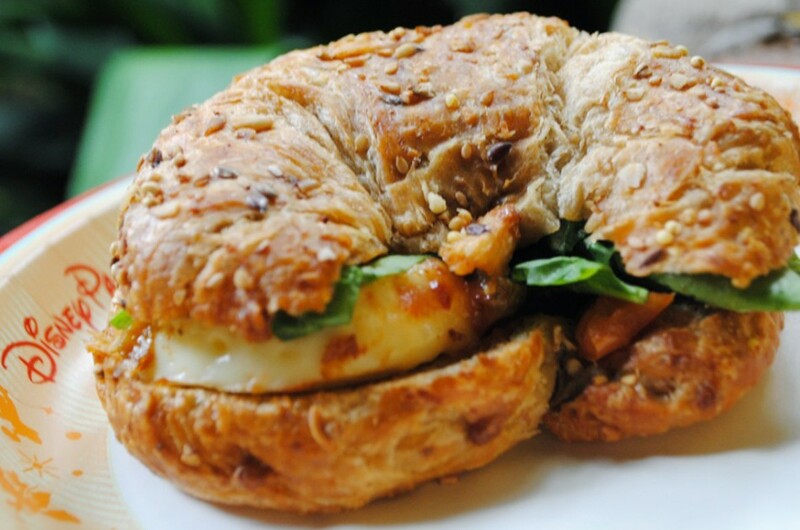 A new multi-grain Breakfast Croissant (pictured above) – stuffed with egg whites, fresh spinach, provolone cheese and vegetable chutney, served with a side of cheesy breakfast potatoes, available for $7.49. Ancient Hot-Grain Cereal – a hearty bowl of oatmeal, barley and quinoa simmered with spices and topped with salted caramel crumble for $3.99. Breakfast Burrito – a tortilla filled with scrambled eggs, sausage, peppers, cheese, and salsa, costing $6.49. After eating at Pizzafari, grown-up guests might like to try one of four new morning pick-me-ups that are now available at Dawa Bar in Harambe Village. The new drinks, all made with Grey Goose Vodka, are inventive variations on the classic brunch cocktail, the Bloody Mary. Each cost $9.50 and are available from 9:00am – 11:00am. 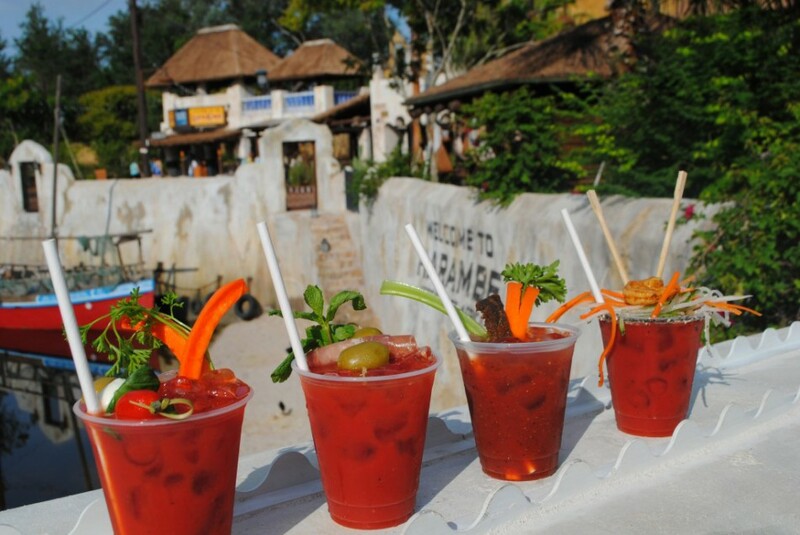 The Discovery Island Bloody Mary – Bloody Mary mix, lime juice and olive juice, garnished with parsley and a skewer of mozzarella cheese, tomato, basil and stuffed olive. The Dawa Bloody Mary – Worcestershire sauce and horseradish, garnished with fresh basil and a skewer of truffle and blue cheese-stuffed olive and prosciutto. The Asian Bloody Mary – Kimchee-sriracha puree, garnished with Asian slaw (cucumber, carrot, daikon radish) and tandoori shrimp. I’m excited about all the new changes that are beginning to take shape at Animal Kingdom. This park has long been one of my favorites and it just seems to be getting better all the time. More and better food options are another step in the right direction.